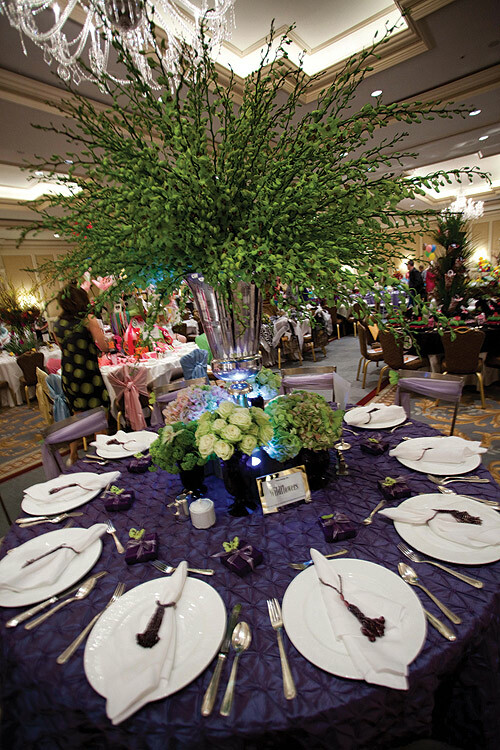 Another beautiful table, at the Ritz Carlton Children’s Hospital Table Top Event, was Jane Winter’s Butterfly and Orchid inspired table. 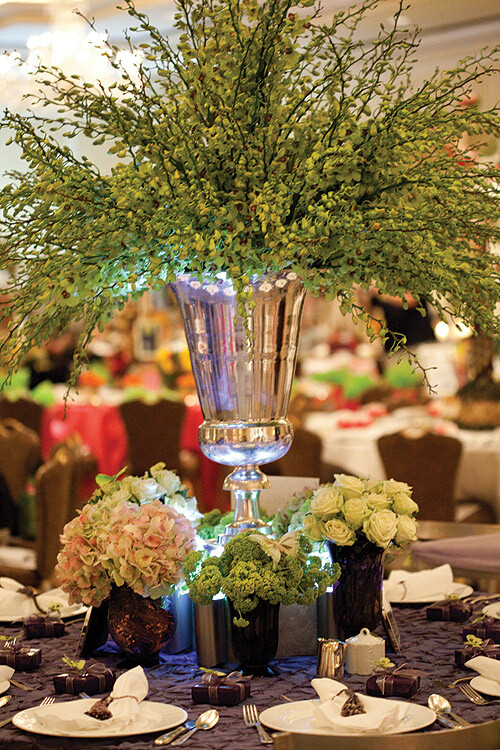 Jane used a massive silver urn and filled it with hundreds of green orchids. 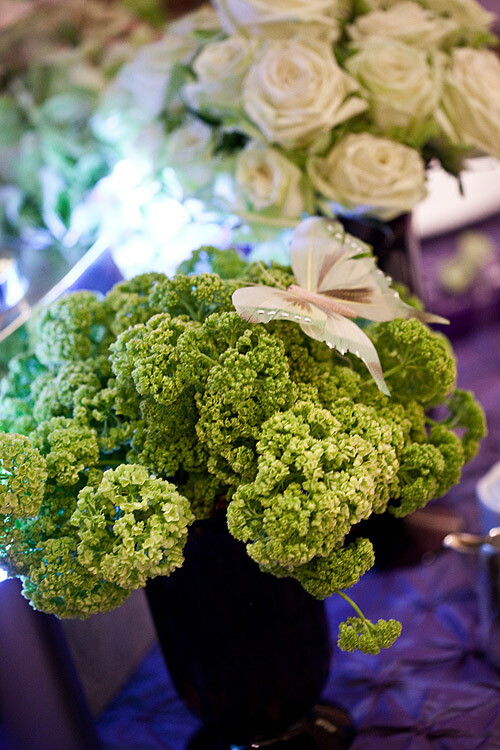 Surrounding the large urn were vases of various flowers including roses and hydrangeas. 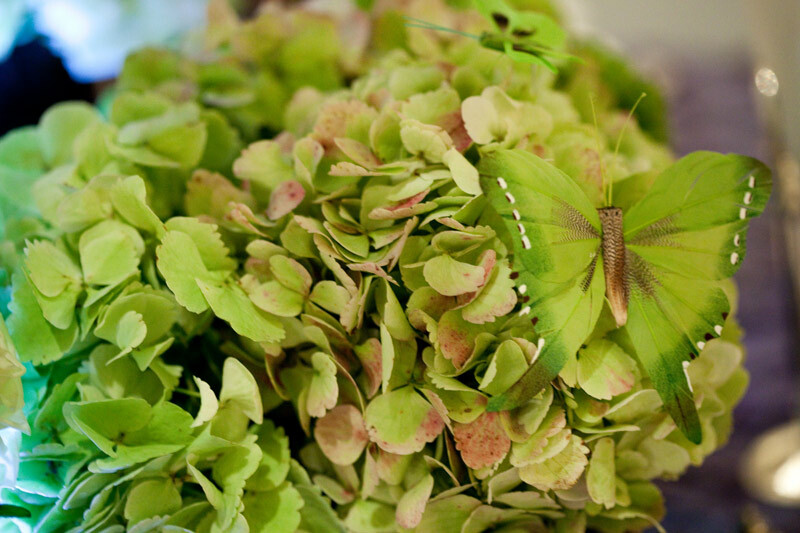 Throughout the design, Jane incorporated delicate feather butterflies. 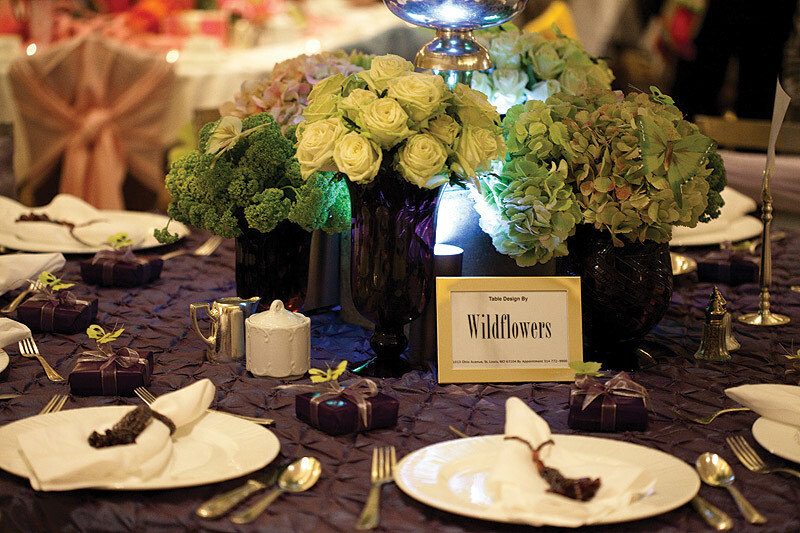 Jane Winter owns Wildflowers, a floral design studio in St. Louis.